DENPASAR: There is a growing trend among Asean tourists to use Rail Europe to tour France and its neighbouring countries, with Thais and Indonesians topping the list. Rail Europe, South East Asia area representative Juliana Gan said the company had been making about €15 million (RM73.6 million) in sales yearly from Asean tourists, with the figure expecting to grow with the increasing number of tourists from Asean, especially Thailand and Indonesia. 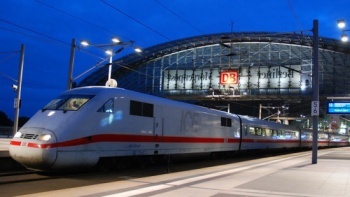 Rail Europe, with major train stations located in the heart of the cities in France had been a convenient mode of transport for tourists to travel from one destination to another, and recorded five million travellers per year, she said. She said this to Bernama on the sideline of the three-day Douce France or Sweet France 2017 programme organised by Atout France, French Tourism Development Agency at Club Med Bali here recently. The Douce France launched last year, was to showcase French attractions to Asean travel agents and media. This year, Atout France brought along representatives from Club Med which is well known for its mountain resorts in France, Air France-KLM Group, Rail Europe, designer outlet La Vallee Village, and cabaret and burlesque show Lido de Paris. Others were department store Printemps, cosmetics and pharmacy stores Group Monge, McArthurGlen designer outlet, Evian Tourisme and Congres, destination management company MGTC and also the Monaco Tourism and Convention Bureau. According to Atout France Asean regional director Morad Tayebi, the growing number of repeat visitors to the country since late last year had been overwhelming. "For this year, France recorded 88 million visitors and is on the right track to fulfill its target of 100 million visitors a year by 2020," he told Asean media in a briefing about the programme. He said visitor arrival to France decreased by 2.2% in 2016 to 82.6 million from 84.5 million in 2015, with the biggest drop of 3.8% comprising tourists from Europe; on the other hand, the number of visitors from outside Europe recorded a 3.8% increase. The decrease of visitors to France in 2016 was attributed to the waves of terrorist attacks, strikes over labour reforms, and floods. However, the number increased following aggressive campaigns carried out by the French government, particularly Atout France last year. Tayebi said tourism had been an essential industry in France, contributing to 7.4% of France's gross domestic product, with the number of visitors higher than the country's population of 66.8 million. "Nevertheless, we have not been resting on our laurels and are looking at new products and promoting our provinces to maintain the positive note," he said. To this end, he said France would among others, be hosting various international games such as the 2018 Ryder Cup Golf Tournament in Sept, Rugby World Cup in 2023 and the 2024 Olympics. Meanwhile, Atout France, Asean marketing and event coordinator Winnalia Lim said the agency was also looking at new products to draw more Malaysian and Singaporean tourists. France recorded a decline by 20% of Malaysian visitors last year to 120,000, from 150,000 in 2015. Despite the dwindling number, Malaysian and Singaporean tourists were still the biggest spenders among Asean since France is a shopping paradise, she told Bernama.